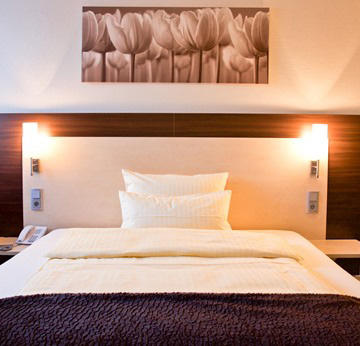 Featuring free WiFi, a desk, flatscreen TV, and parking space free of charge, our modern single bed rooms are ideal for business travellers and visitors to the exhibition centre. 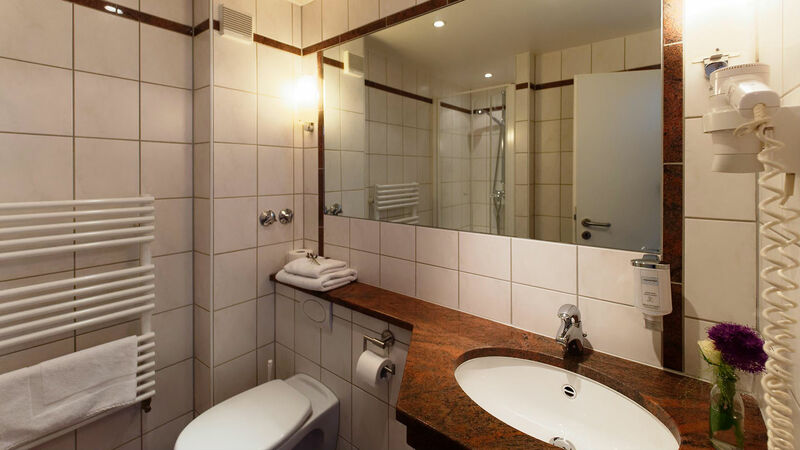 All of our rooms have bathrooms with a shower / WC and hair dryer, as well as a desk, DDD telephone, TV, and fax / WiFi connection. We offer exclusive rates for long-term guests. Find out about our special reduced-rate weekend offers.